What music brands can learn from in-store clinics and events. In the music instrument business, where manufacturers are just as passionate as the people who buy and play their products, there is a connection and appreciation for each other not often found in other industries. Music is a highly personal, connective form of communication to many, and demonstrating the instruments that convey this language cannot—and should not—be reduced to video chats and file streaming. Music is meant to be a shared experience between people, and there is an effective way for music instrument manufacturers to introduce potential customers to their new products: in-store performance events. In the days before brands conducted product demonstrations via video hosting and sharing platforms like YouTube and Vimeo, in-store performance events abounded. Nationwide retail outlets and small, family-run mom-and-pop stores alike had a full weekly schedule of in-store performances. These live events were hosted by musicians—both famous and lesser known—in the form of clinics, masterclasses, and group workshops. Not only did these events drive potential customers into the brick-and-mortar stores, but they gave attendees a firsthand opportunity to see how the instruments can be played in ways they may not have thought of. 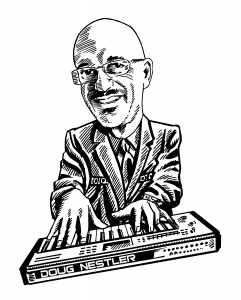 Seeing, hearing, and touching the instruments is arguably the best sales pitch. During in-store events, the performance artist can talk in detail about your products and address any questions that potential customers may have immediately after they hear the instrument played just a few feet away from them. Taylor Guitars’ award-winning Road Shows events are a perfect example of how combining live performance with product demonstrations can generate excitement and customer engagement with the brand. Taylor factory representatives travel throughout their global dealer network to demonstrate the unique characteristics of each guitar model, share tips on how to select the right guitar to fit one’s playing style and needs, and answer questions about the line. The events are free to the public, and people of all skill levels (or those thinking of purchasing their first guitar) are welcome. Free string and accessory giveaways are also part of the event, creating additional incentive for the public to attend. Don’t make the mistake of thinking that only globally recognized artists should host in-store performance events. Local musicians—who are more affordable and have the chops that will grab the attention of the audience—can be just as effective at demonstrating your products and answering questions. What could be a more targeted plan than working with the artist in advance of the event to identify which product features you’d like him/her to highlight to the audience during the presentation? 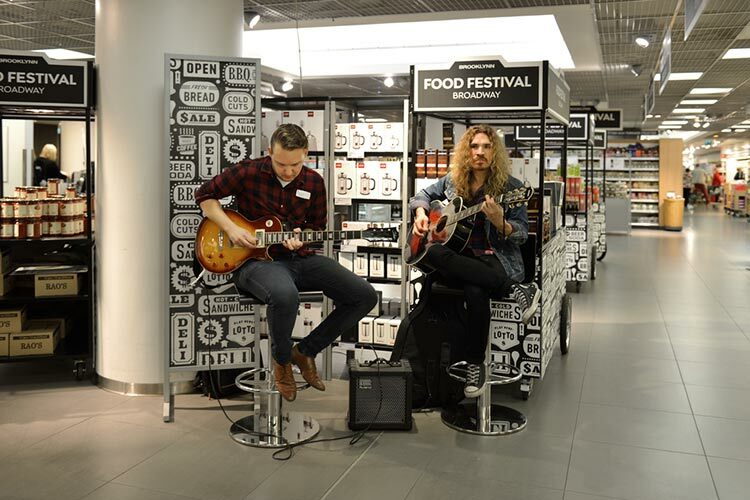 Lastly, in-store performances give you the opportunity to see who your potential customers are. It also allows you to talk directly with them and get feedback about what they think of your products and your brand. Such information is invaluable when developing new products and bringing them to market. Know your customers, and you’ll know what features your products need to appeal to them.